Welcome to Restaurant & Bar Ö! 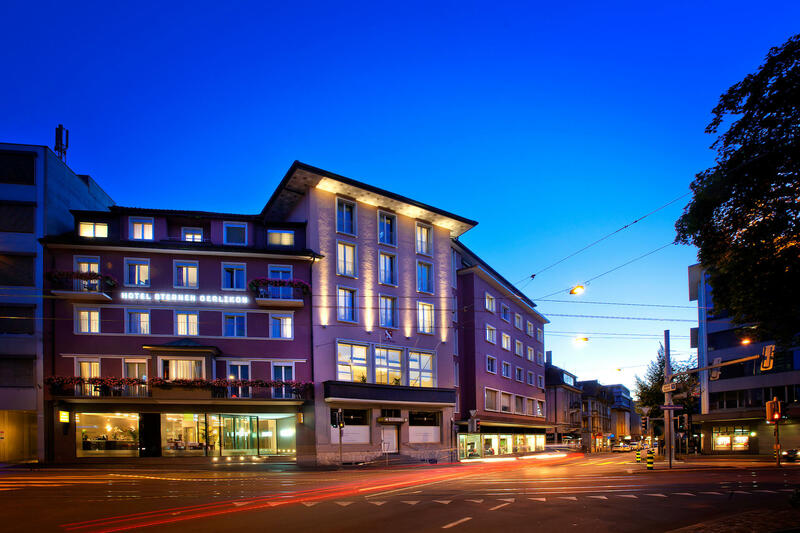 The Hotel Sternen Oerlikon with its perfect location in Zurich Oerlikon contributes since 1897 to the rich history of this district. The size of this 3 star hotel guarantees an intimate atmosphere where you always feel welcomed and special. Let our dedicated team help you find the best that the whole city has to offer. Relax and unwind after a long day in our famous Restaurant Ö with its bar and Cigare Lounge. Our modern seminar rooms offer the perfect location for unforgettable meetings and events. 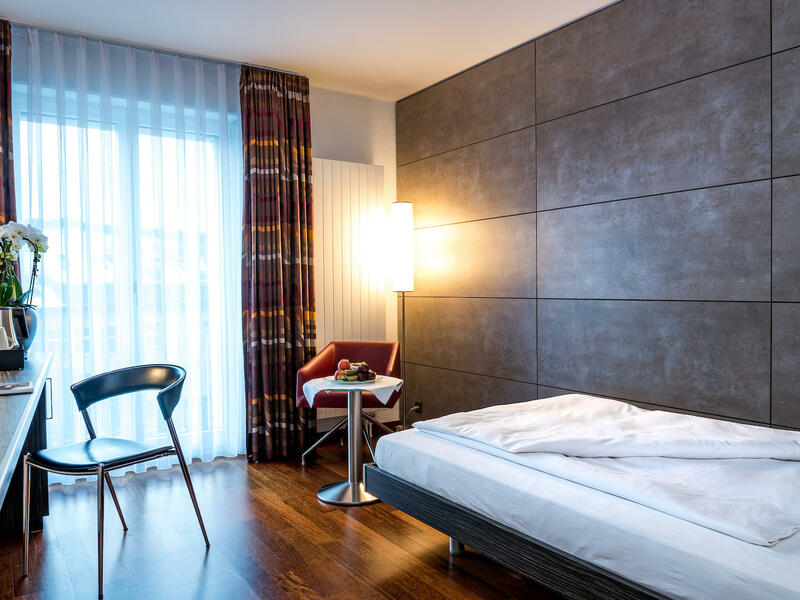 From the hotel's prime location, you can reach the city's business districts, Hallenstadtion, Messe, ETH and university within minutes. Zurich Airport is ten minutes away by public transport. Zurich's key sights, such as Bahnhofstrasse, Niederdorf, Lake Zurich are all only a few minutes away by tram. Parking spaces are available. 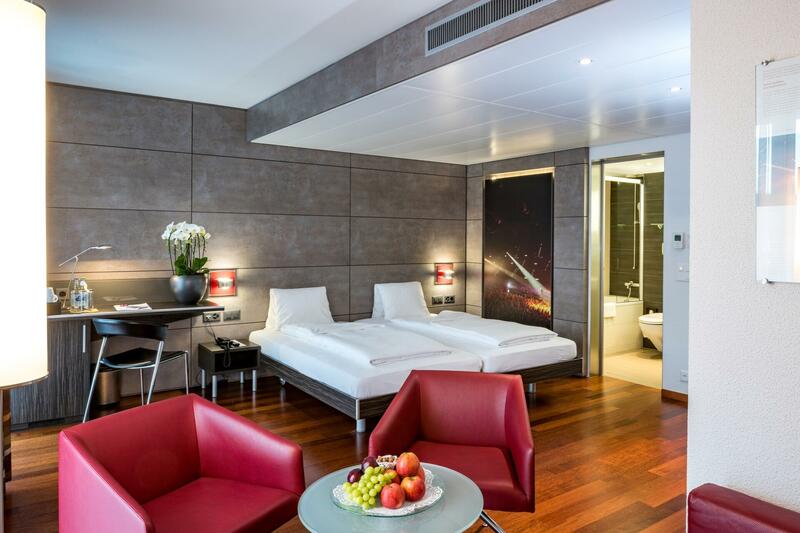 Book direct and take advantages of special benefits at this top hotel in Zurich Oerlikon. Relax after a busy day and enjoy our 24-hour reception service with a range of drinks available at our foyer bar. 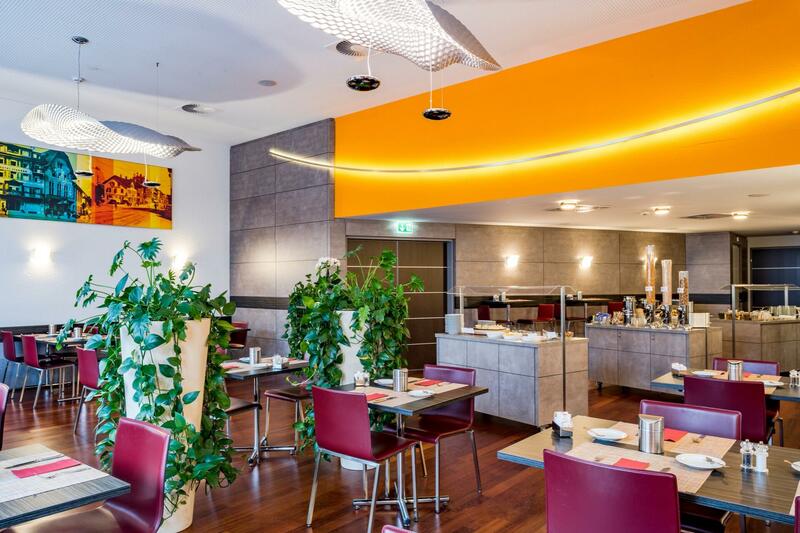 In our Restaurant & Bar Ö you can enjoy a relaxing lunch or cosy dinner. We serve classic International dishes and Swiss specialties. All dishes are served with a modern twist and will surprise you with their presentation and taste. 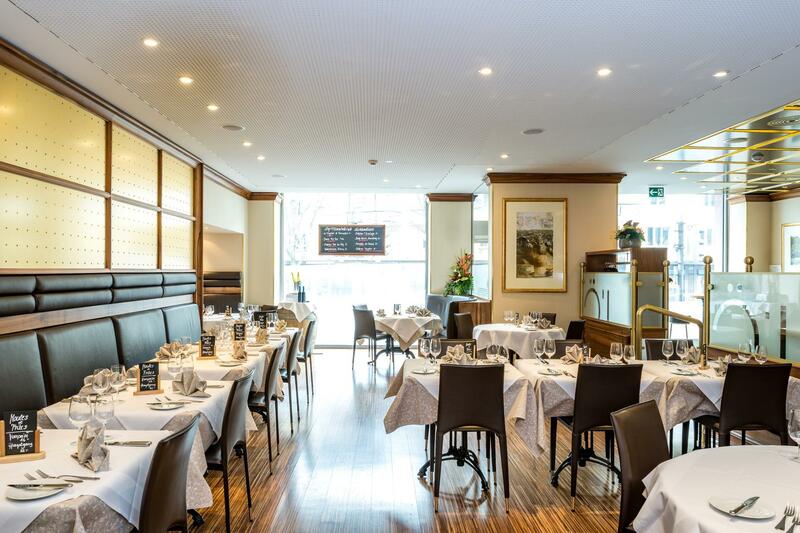 In our restaurant we set a high value towards quality, service and a lively and warm hospitality. 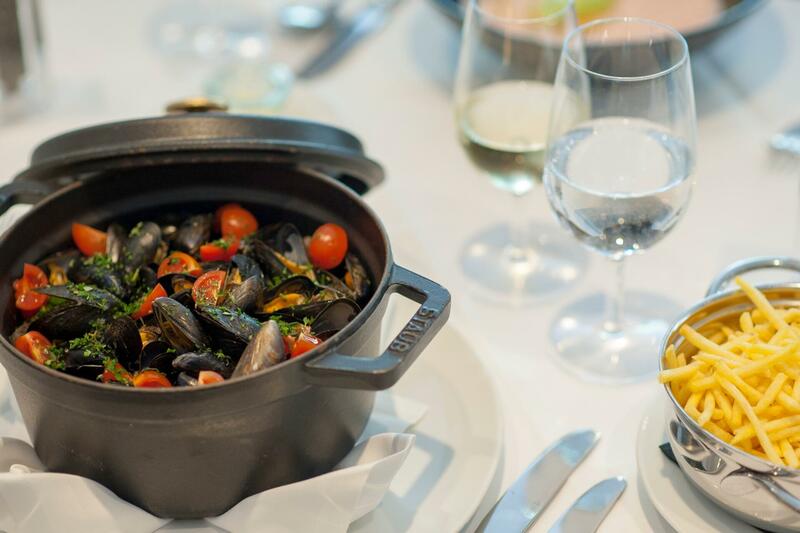 Hold a successful meeting in our light-filled, modern meeting rooms and enjoy our varied cuisine! Our two meeting rooms offer space for 25 people, furthermore we recommend our airy lounge for events for up to 60 people. 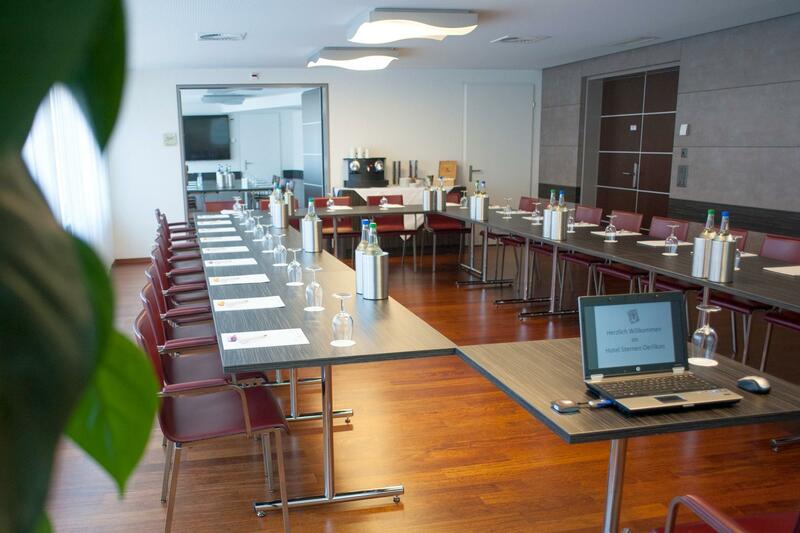 Contact us today for more information about our Venues in Zürich. Zurich with its unique location on the lake with a breathtaking view to the Alps and its urban live style attracts thousands of visitors all year around. Visitors and residents love Zurich equally for its unlimited attractions, entertainment opportunities, its international mindset but also for its safety, cleanliness and its short distance to nature, mountains and other hot spots in Switzerland. Please visit our calendar and check out some exciting events in and around Zurich. 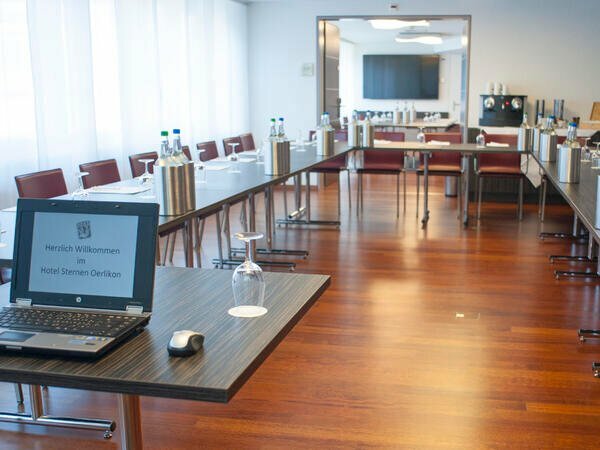 We are constantly developing exciting new special packages, promotions and conference offers to make your stay with us in Zurich even more enjoyable. 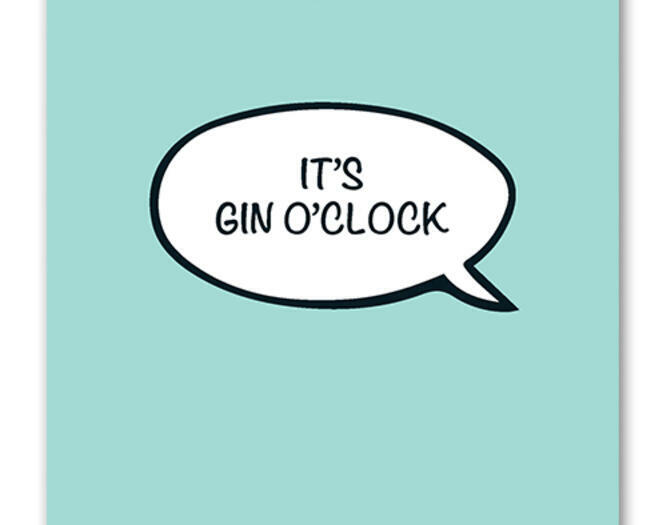 Enjoy our big gin variety at our bar and choose 5 different gins to taste. We serve matching tonics, appetizers and great fun! We are very much looking forward to see you. For further questions, please see link below. 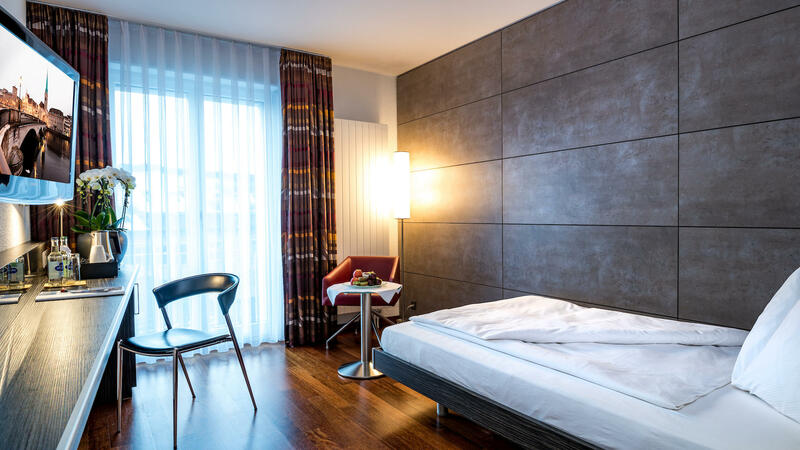 Hotel Sternen Oerlikon is only ten minutes away from Zurich's international airport by tram number 10, which stops in close proximity to the hotel. Parking spaces are available at the hotel or in Parkhaus Flora car park.